What is the origin of Champori products? Are Champori products safe for children? Are your products safe to use during pregnancy and breast feeding? What is the shelf life of Champori products? We accept Visa, MasterCard, American Express and Discover credit cards directly on this website through our merchant processor PayPal. Also, we accept payments by PayPal, Checks and Money Orders. Orders placed with a check will be held for 6 business days. All California orders are subject to 7.25% Sales Tax. Please refer to our Shipping Policy page. Yes. We ship to most countries in the world. Yes. 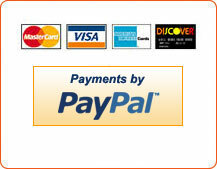 Our online orders are handled by PayPal – one of the most secure and trusted Internet payment processors. We do not share, lease or sell your personal information. Our products are delivered in plain packaging, with the company name and return address on the outside of the box with no mention of products therein. We obtained these products and recipes for them from a Tibetan healer some 25 years ago. In the course of years many of our relatives and friends who happened to have psoriasis or eczema used them with great success. Since 2004 we offer these creams and sprays to the public. Yes, our products are safe for children. However - as with any topical application - you should test a small amount of product on the inside of the child's wrist and make sure that there is no adverse reaction. Yes, our creams and sprays are safe to use during pregnancy and breast feeding. Our creams and sprays are biologically active substances and should be kept refrigerated at a minimum 50% of the time. They will remain effective for at least 1 year (we didn’t test for a longer span). Champori.com will not be liable for damages of any kind including without limitation direct, indirect, punitive and consequential damages, arising out of or in connection with the purchase order, terms of payment, the site, the services, or those resulting from any goods purchased or obtained or transactions entered into through the services. The products and the claims made about specific products on this site have not been evaluated by the Food and Drug Administration and approved to diagnose, treat, cure or prevent disease. As a beauty I'm not a great star. I know others more handsome by far. It's the people in front that may jar.